As lead up to the World AIDs Day celebration, we at Reach A Hand with support from our partners at Kyuka Youth Outreach, a community based youth organization that uses dance and creative arts to transform and empower young people. 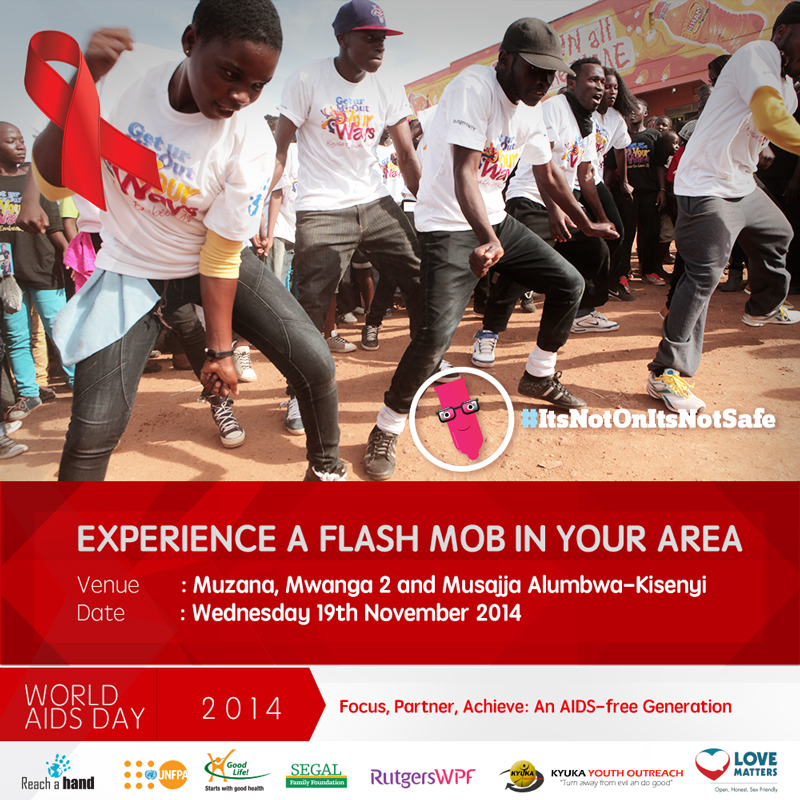 We hosted a Flash Mob Activations in Kisenyi a Kampala sub with the city’s centrally located slums. Also a place with many languages spoken in Uganda including nations from Eastern Congo, Tanzania, Rwanda, Kenya, Somalia and Ethiopia, Kisenyi youth lack access to reliable and comprehensive sexual and reproductive health and rights (SRHR) information and the corresponding life skills.